For the past four years, Pā Maria Marist Spirituality Centre in Wellington has been offering a Winter Film Series. In 2015 it began with one season (of five nights) with an audience of 30. One season quickly became two as demand grew. 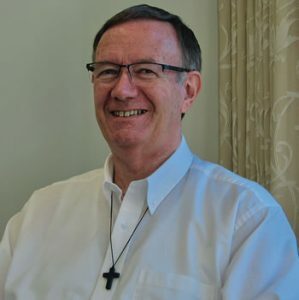 For the past two years, there have been three seasons with participants coming not only from the Catholic community but also from the Presbyterian and Anglican communities as well as a number who do not claim affiliation with any particular church. The topics to date have been: Discerment (Knowing How to Make Good Choices); The Stories of Our Lives, “Called Beyond Ourselves” (reflections on the themes of Genesis) and this year, Called to be Blessed (reflections on the Beatitudes). The format of each evening involves input (about 15-20 mins), viewing of a movie and material provided for reflection over the coming week. This is the key part of the process. The concept is not entirely original. I was trained in Canada in 2002-2003 at Loyola House, Guelph and had a great deal to do with Monty Williams, SJ. Monty has developed the idea of ‘praying with movies’ to a high degree and the course at Pā Maria owes much to his original insights and support. What we are talking about in this process is a ‘heightened awareness’ – not a grimly focused determination of ‘you and I are going to learn something about ourselves from this film’. That approach would ensure that we would soon stop going to any films – or at the very least, that no-one else would ever want to go with us! Not every film is an aid to reflection – a James Bond movie is what it is: pure escapist entertainment. But some films do lead to reflection. Not every film has the same effect on each person: we see a film through the filter of our own eyes and experiences. And, of course, someone who doesn’t likes films will probably not find the process prayerful at all. However, the same process of reflection can be applied to music, poetry or literature. And for those who do enjoy movies, the process can be very helpful. Prayer through human experience, in which we try to mediate the divine through ideas, images, symbols, and attentiveness to human experiences. e.g. Ignatian prayer. Based on the belief that we can best find the divine through emptying ourselves of all images and contents since God is beyond and transcends any image or content we have of God. As we come to total silence, emptiness and loss of self we recognise our oneness with the divine and allow ourselves to abide in it. e.g. Carmelite prayer. So, over the five weeks of the Winter Film Series we are using Ignatian prayer – using movies in particular, to be exposed to ideas, images, symbols and human experiences. These are very Ignatian terms. 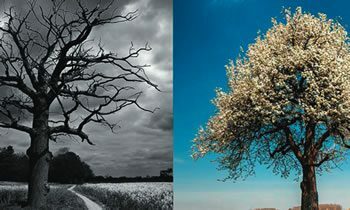 How we understand spiritual consolation and spiritual desolation depends on whether our basic orientation is towards intimacy with God or away from that intimacy. If we desire that intimacy, we experience consolation when the energies of our life are in harmony with the energies of God. We experience desolation when the energies of our life are occupied in works that do not contribute to building up a community of love. It’s important to keep in mind that Consolation and Desolation are not feelings. They are indicators of the direction in which we are pointed based on our underlying attitude. The more we understand what is happening in our prayer life, the more we understand whether we are in fact living a spiritual life that is a valid and healthy part of our everyday lives. (cf Monty Williams SJ, The Gift of Spiritual Intimacy, pp28-29). The difficulty for many of us is precisely in understanding just what is happening in our prayer life and in identifying what our values really are and what motivates us. As a result, we can be controlled by our actions and values, rather than being in control. 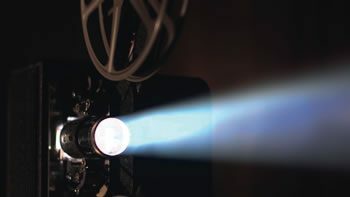 Viewing a movie can help us come to a greater awareness of what moves us in our life – in both positive and negative ways – and enable us to articulate that through reflection on the film and its effect on us. And that greater awareness has implications for the way we live our lives – spiritually, physically, emotionally, mentally, relationally. Reflecting on what that experience has been and means.